Had hoped to sneak in a sail yesterday, but winds were gusting to 38 mph. Chickened out. Today there is no wind. Hopefully there will be some nice days soon. The last boat camp trip may have spoiled us. 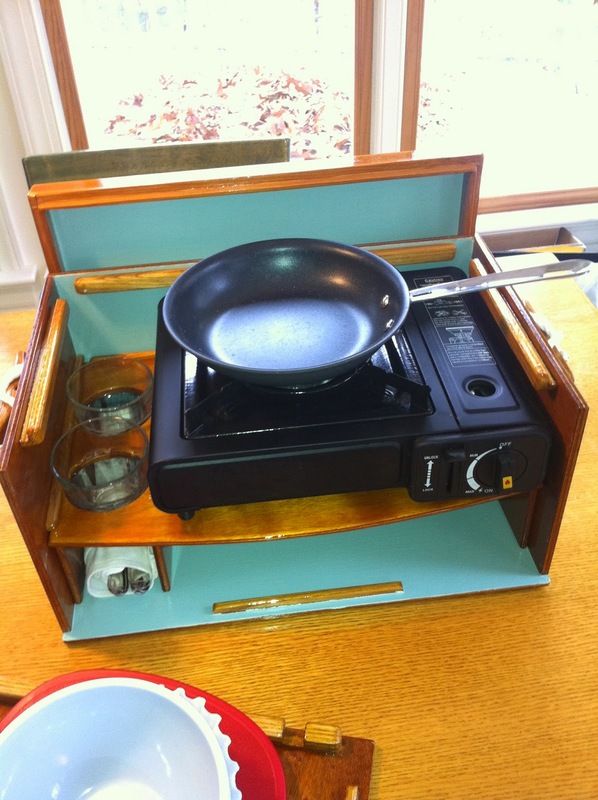 Meals cooked at camp on our small butane stove top opened up a whole new menu. Though the gimballed cup stove still has a place under way, taking every meal in a 20 oz cup might get old fast. 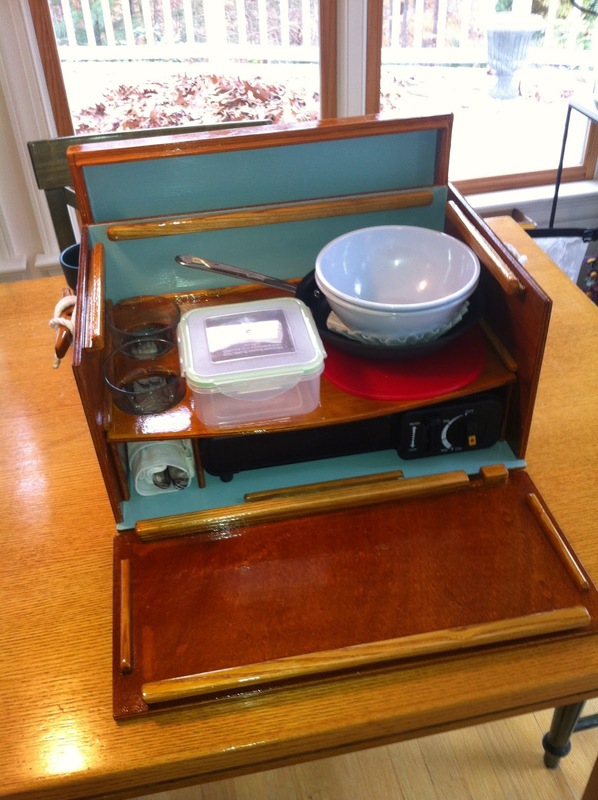 Chris Cunningham at Small Boats Monthly had a box for his galley kit. John Hartman on WFB had his boxes. 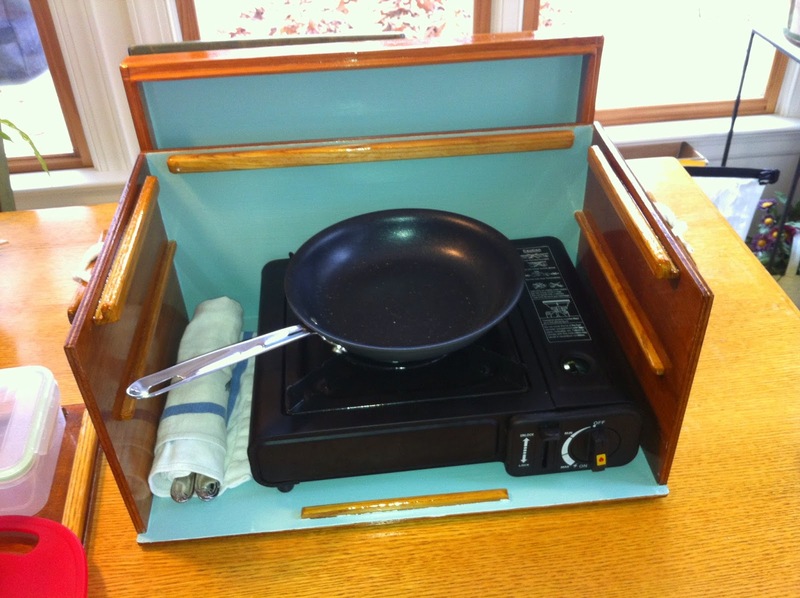 So, after studying those and many camp cook boxes out there I decided to design my own. 8mm okoume plywood sides and interior oak rails. 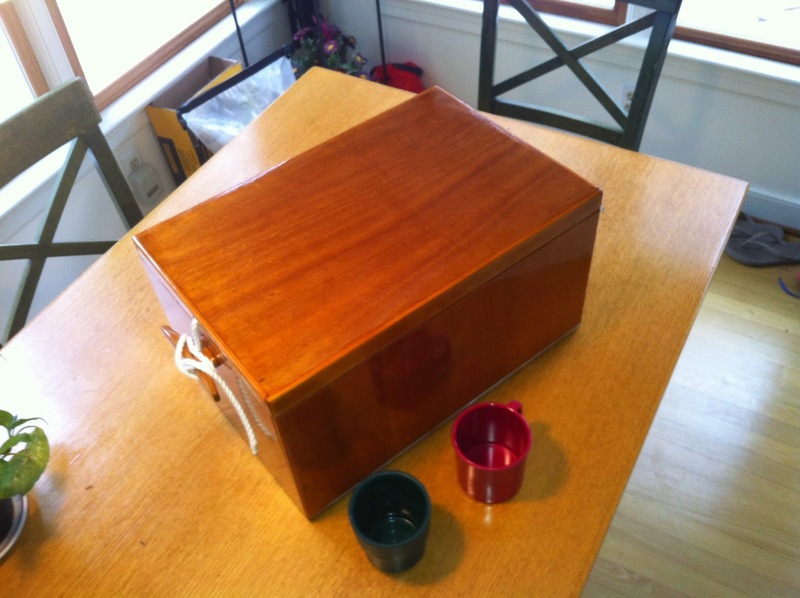 Box was shellacked for color and varnished to protect it. Rope tie-downs keep the lid on. 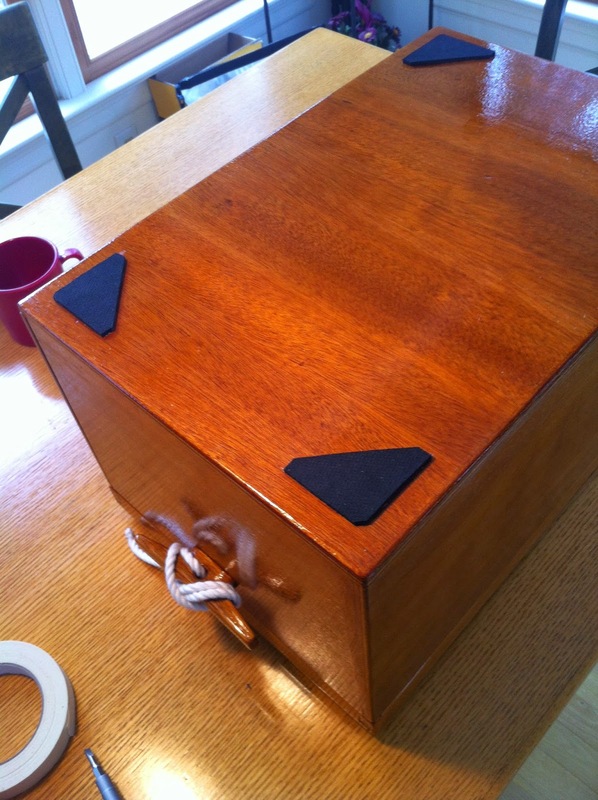 “Rubber” feet protect the boat and offer an anti-skid box. 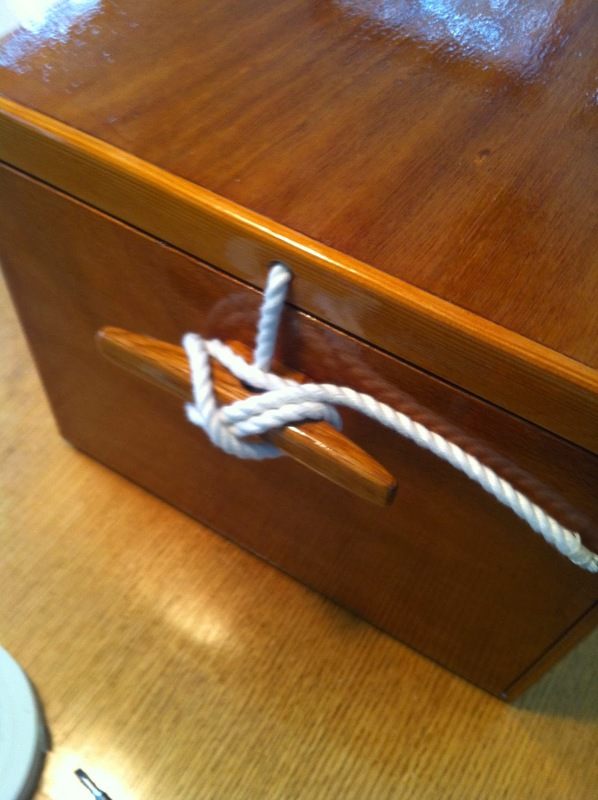 Cleats will help secure box in the boat too. The box is sturdy enough to serve as a seat in camp. A pot, some mugs, a few utensils, and spices need to be added, but all that should fit easily. Joined with a cooler, canned and dry goods, and we are ready for the next trip.